Comedy Hawaii is saying aloha to the man who built it from the ground up: comedian-promoter Michael C. Hall. The GTFO party will begin 9 p.m., Friday, Feburary 21, at Bar Seven. 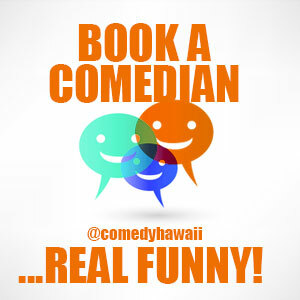 Hall moved to Hawaii in ’03 and started ComedyHawaii.com in 2009. From day one, Hall had a mission to build a comedy scene by booking the best available talent and securing show-friendly venues. Hall provided the local scene almost a decade of comedy experience honed in Midwestern cities like Austin, St. Louis, and Oklahoma City performing with the likes of Doug Stanhope, Whitney Cummings, and Jackasses Steve-O. In addition to his stage work, Hall has done ads for local brands such as Hawaii Dental Repair, Copy Hut and Tropical Smoothie Café. 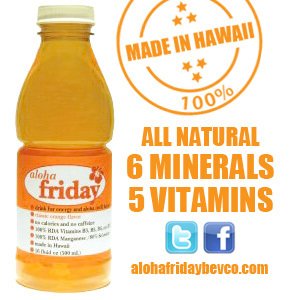 Hall also wrote for MMA Hawaii and Comic Bible while in Hawaii and also did the NASCAR Minute on 97.5 KHCM. The only way to appropriately send Hall off is with a blaze of glory. 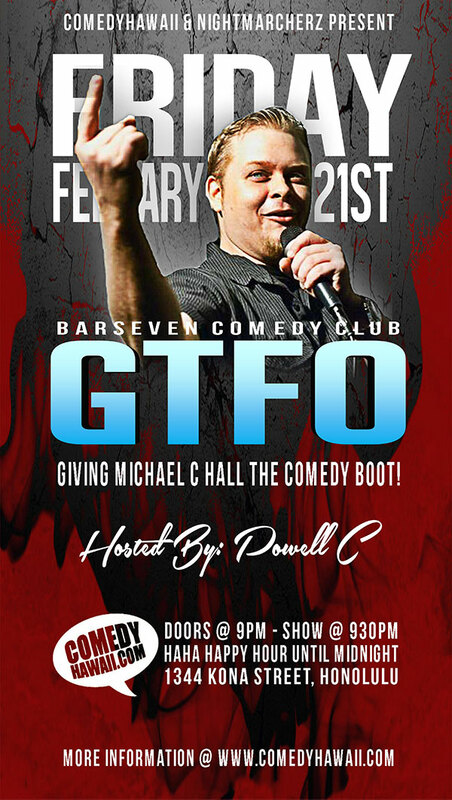 Bar Seven will be offering half-priced beer and shots all night so come down, have some laughs and turn Mike’s last show a night he’ll never regret!